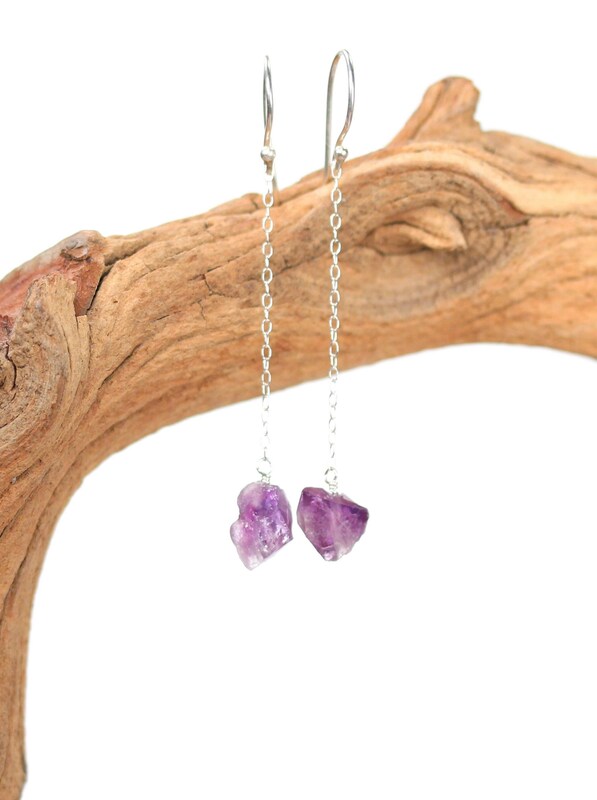 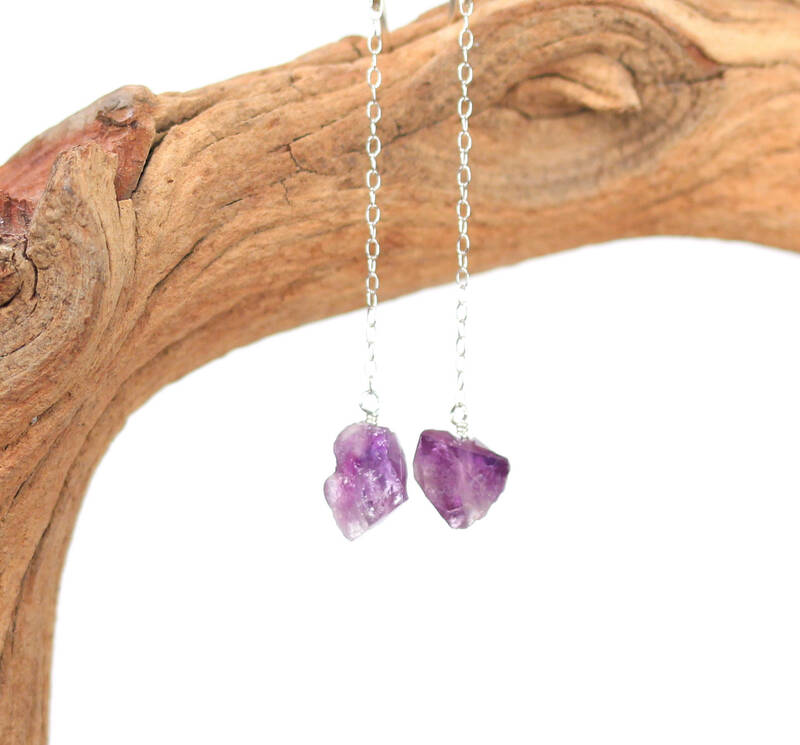 A super cute set of raw amethyst crystals wire wrapped onto a pair of sterling silver chains and earring wires. 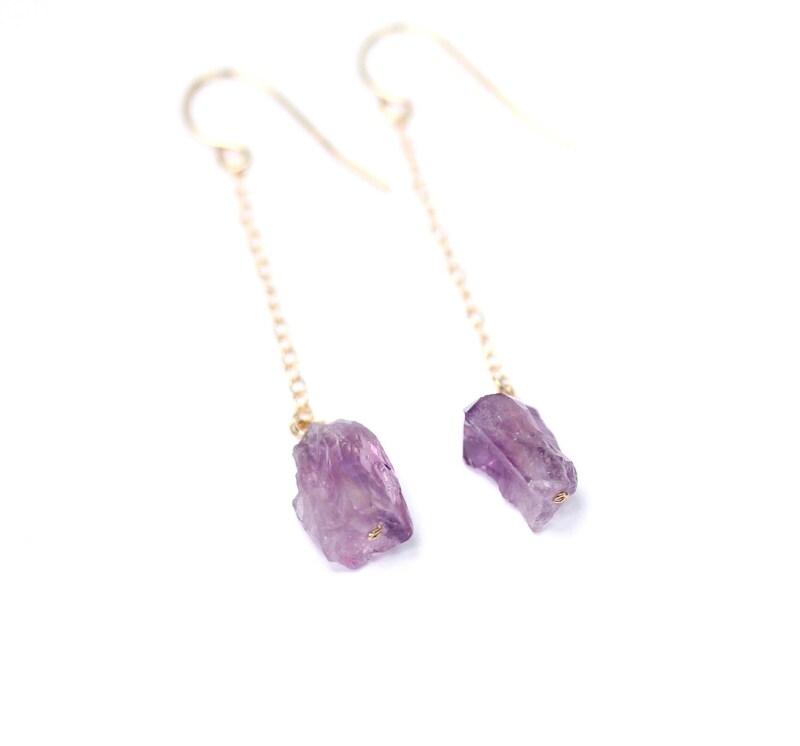 Please choose your favorite pair of amethyst as shown in the third photo. 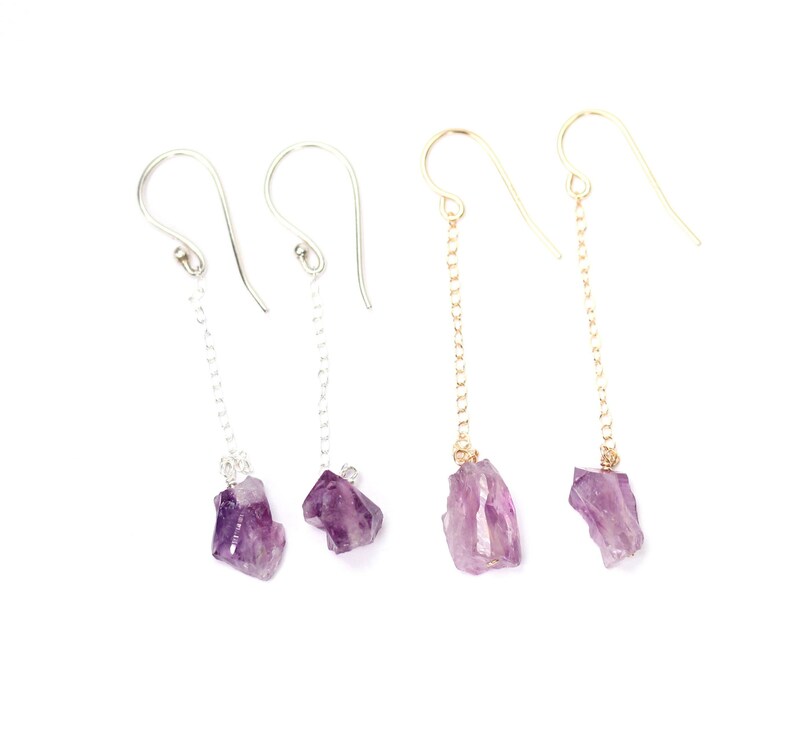 These beauties come in 14k gold filled and sterling silver and with a customizable dangle length!